The Monsters are those things that are blocking your blood flow or interfering with your brain cell's communication system. High cholesterol fatty foods are the worst. Artificial foods like sweeteners MSG and many over the counter medications such as benadryl can cause problems. 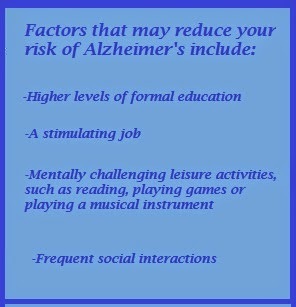 Are you worried about Alzheimer's? Many of us believe that our brains are genetically engineered to determine our neurological fate. "My dad had dementia so I'm going to have it too." "I am surly going to have Alzheimer's because my mom has it". Have you experienced those "Senior Moments" yet; where we forget the name of the Bronco's starting quarterback, (Paton Manning) or the recipe to your favorite meatballs that you have made a thousand times? 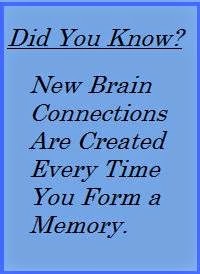 These memory lapses happen to us all but they sure don't help when we are worrying about getting Dad's dementia or Mom's Alzheimer's. The fact is, genetics does play a major role in determining our future health, especially with regard to our memory, but genetics is less than half the story. There are many things you can do to help preserve your memories as you age. The brain is like a giant electrical grid, with billions of cells all connected to each other by neurons that are When these connections get interrupted you may forget where you parked the car, or what you had for dinner. 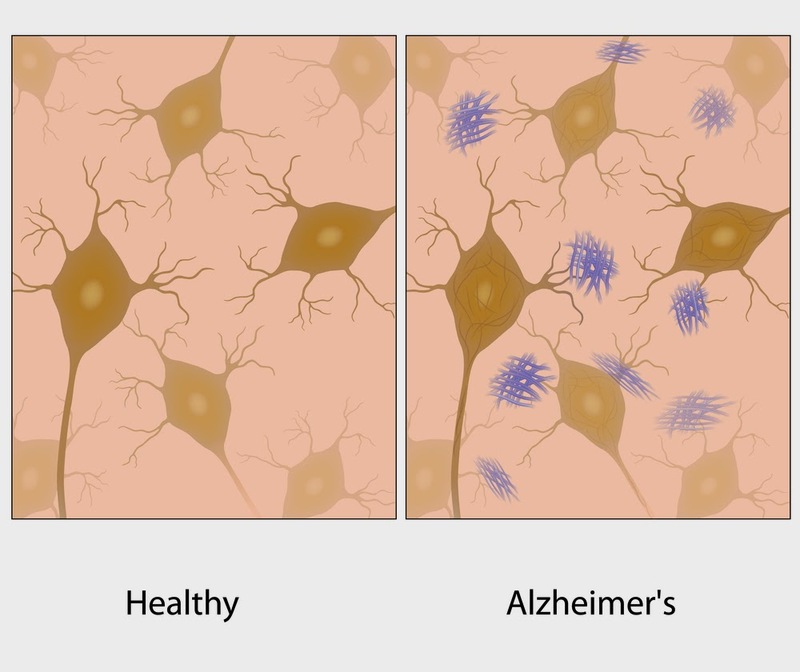 One cause of these connection interruptions is a protein called Beta-Aamyloid which tend to collect in the brain and foul up the works. Another protein called Apo E, helps to clear the brain cells of the Beta-amloid . Exercise and tumeric, a spice often found in Indian foods seem to assist the Apo E in its effort to clear these Beta-Amyloid from your body. sending messages back and forth to each other. Lack of Blood flow to the brain can also be a major contributor to memory problems. This is most often caused by atherosclerosis, a buildup of calcium deposits in the blood vessels feeding the brain. A low cholesterol diet and statin drugs have been shown to have a very positive effect on slowing these deposits. Our ability to remember things actually starts declining at age sixteen, as does our eye-hand coordination. While Alexander the Great was able to remember all of the names of his 30,000 soldiers in his army, and Mozart was able to play and write down all of the notes from a song he had heard but once, the rest of us are not so lucky. The good news is these electrical interruptions in our brain are not completely a result of genetics and therefore uncontrollable. So what are you to do about it? First: Use It or Lose It. Any first year teacher will tell you that in order to teach a class you need to first learn the lesson yourself very well. And best of all, if you can explain the lesson well you are more likely going to remember it yourself. So take the time to teach others about your woodworking , gardening, or painting skills at the local senior center or rec-center. Yourself: Life after retirement sitting on the patio drinking scotch is not the best way to keep you mind from turning to mush. Take the time to learn a new skill or hobby. Perhaps now is a good time to learn to speak Italian. Take the time to notice what is going on around you right now. Listen to the sounds and notice the detail in the pictures on the wall. Look out the window and think about every single thing you see. Exercises like this will help to reduce stress and improve your ability to concentrate. Play games with the grand children, join a Bridge, or Canasta Club. How about a writing or painting club. Crossword puzzles are excellent for thinking skills. 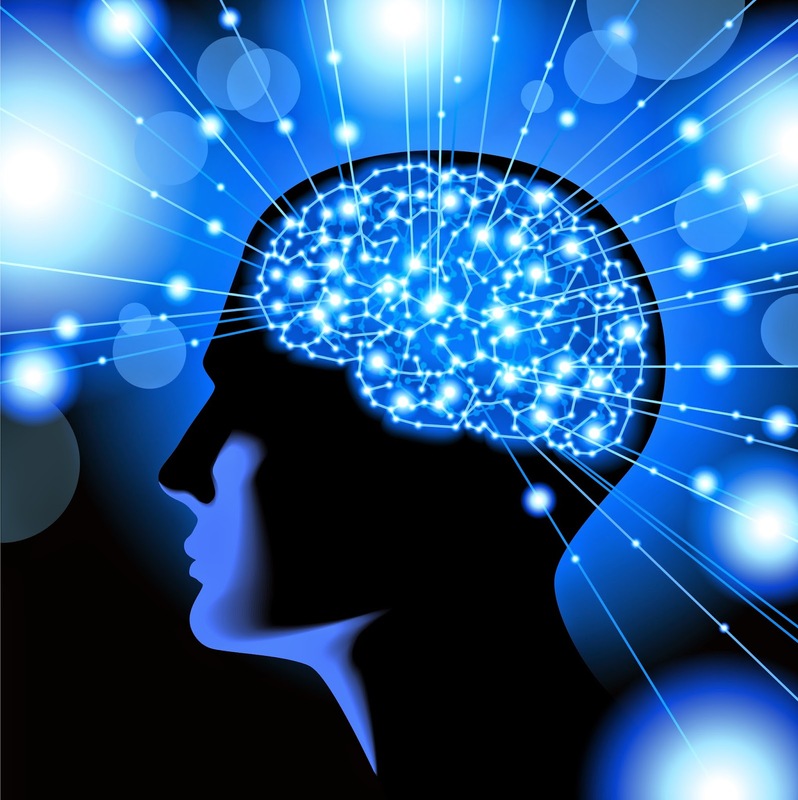 Mind games found on various websites across the internet are god fun and good for you too. There may be a strong link between serious head injury and future risk of Alzheimer’s, especially when trauma occurs repeatedly or involves loss of consciousness. Medications. A number of prescription and over-the-counter medications can interfere with or cause loss of memory. Possible culprits include: antidepressants, antihistamines, anti-anxiety medications, muscle relaxants, tranquilizers, sleeping pills, and pain medications given after surgery. In addition Alcohol, tobacco, or drug use. Excessive alcohol use has long been recognized as a cause of memory loss. Aspirin: Research shows that there is a 40% decrease in arterial aging for those who take 162 milligrams of aspirin a day. Improving blood flow not only supports brain function but your other organs as well. In particular you heart. Vitamin E: Those who consume sufficient amounts of Vitamin E are 43% less likely to get Alzheimer's. You can get what you need by eating 3 ounces of nuts or seeds per day, or by taking a 400 IU supplement. But don't take Vitamin E Supplements if you are taking a Staton like Lipitor prescribed by your doctor as this tends to interfere with the work of the Staton. Antioxidants like those found in Krill Oil have a remarkable way of defending cells against the effects of free radicals. 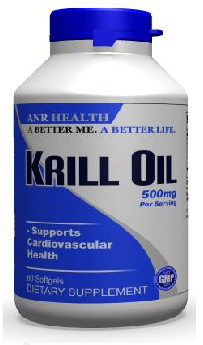 Krill Oil contains one of the few antioxidants capable of crossing the blood-brain barrier and able to shuttle essential nutrients throughout your body. 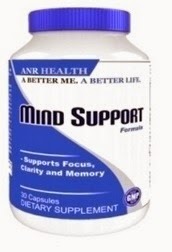 Vitamin B, B12, Folic Acid: Vitamin is essential for your neurotransmitters to work properly. Furthermore, without the B vitamins, your homocysteine levels rise and that increases the risk of Alzheimer's. The most common neurotransmitter is Acetylcholine and a commpn treatment for Alzheimer's is aimed at increasing Acetylcholine in the brain. Turkey, Spinach and Turmeric: Another neurotransmitter important for brain function is BDNF (neurotrophins) This chemical is like fertilizer for the brain cells helping them to grow and regenerate. You can increase this levels of BDNF by restricting calories, exercising. The antidepressant Tryptophan, found in turkey and spinach is also known to improve BDNF levels. You should also avoid saturated fats and refined sugars as these tend to decrease BDNF levels. Ginkgo Biloba: Shown to be effective in helping to improve cognition. It is also considered to be a safe antioxidant. Ginkgo Biloba can also thin the blood which will help improve circulation for folks with blood vessel disease. St. John's Wort: A 2009 systematic review of 29 international studies suggested that St. John’s wort may be better than a placebo and as effective as standard prescription antidepressants for major depression of mild to moderate severity. Huperzine A: This is an ancient Chinese herb that has been used for memory loss for generations. Huperzine A increases acetylcholine levels by blocking a chemical that destroys this important neurotransmitter. Phosphatidylserine: The majority of your cell membranes are made from this and as we age Phosphatidylserine levels drop causing cells to become brittle. This supplement strengthens the cell membranes around nerves improving the transfer of information between these cells. Coenzyme Q10: This is a potent antioxidant that has been shown to have beneficial effects in protecting against Parkinson's disease. your entire purchase from ANR Health.